Love this EMILIO PUCCI Grey Logo & Boy Sweatshirt Dress for Fall Winter 2018-19. Super Cool Streetwear Look for Girls inspired by the Emilio Pucci Adult Collection. She’ll look so adorable wearing this Emilio Pucci’s beautiful grey-marl sweatshirt dress for girls, with a colorful bow and signature logo on the front. 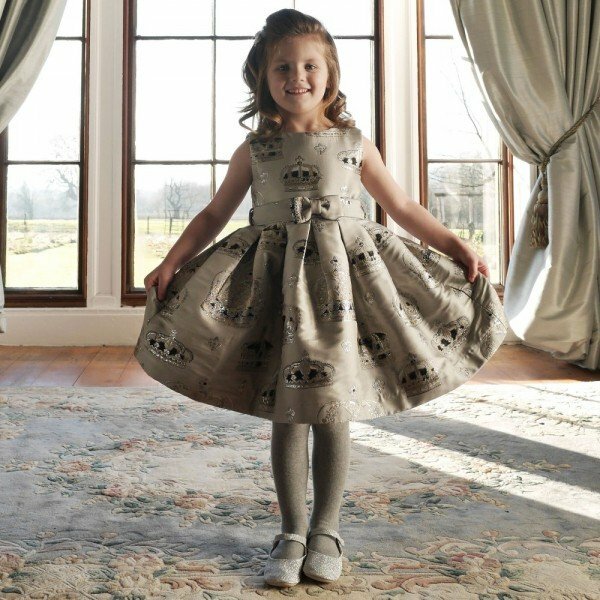 This long sleeved dress, inspired by the adult collection, has a sparkly pink and silver branded trim around the hem and a warm fleece lining, for a luxuriously soft feel. Complete the look with a pair of Emilio Pucci beautifully soft and comfortable viscose jersey leggings. Patterned with a vibrant retro 1960’s print, in purple, pink, red and blue, with small signature logos within the design. Looks perfect with a pair of matching shoes and grey knit hat.